I wont lie, I’m usually a plain jane when it comes to nail colour, sticking to safe earthy hues or the occasional bright red if i’m feeling wild, but this summer I have embraced bright nails like never before and there are five nail polishes in particular that I just cannot stop using! This gorgeous lavender colour from Avon is fast becoming my favourite nail polish, its the perfect summer shade as its so flattering to all skin tones and compliments your tan beautifully. The cold tones to it mean it still has an edgy unique look to it and it works great with any outfit, the speed-dry formula of Avon’s nail polishes makes this perfect for creating perfect poolside nails in a flash! The Lemon shade from Barry M is a real statement colour, this one will get you attention as its so brilliantly bright! It needs a good 2-3 coats to really make the colour pop, but as with all Barry M nail paints, it lasts really well. This stargazer polish is perfect for summer toes, and as with most bright colours it looks great with a tan, its the perfect compliment to any summer sandal and everytime I use it it makes me feel like im on holiday! The No 7 French Pink shade is one of my go to nail polish staples, its perfect when you want something pretty and practical, I used it recently for a graduation I was attending when i wanted my nails to look summery but not to over power my outfit. 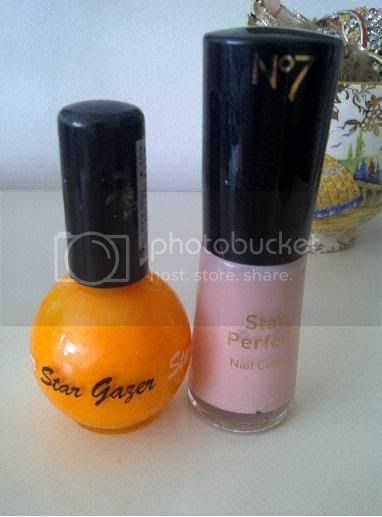 This gives your nails a really professional polished look. 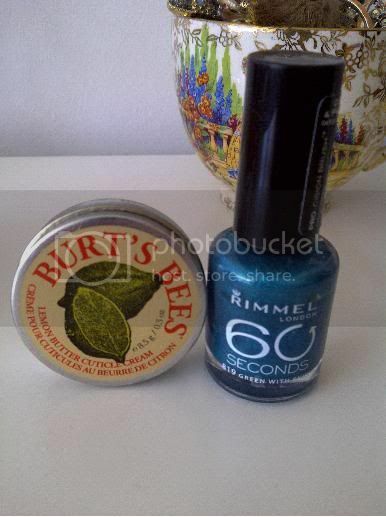 This gorgeous turquoise shade from Rimmel is the perfect polish for summer nights. It’s a more grown up take on summer nails, with its gorgeous metallic finish it looks really exotic and luxe on the nails, and is also a great shade for toes too! This ones really reasonably priced to so you can stock up guilt free! Then finally I had to add in this cuticle butter from Burt’s Bees, this product is AMAZING, it softens my cuticles and makes my entire nail area really healthy and really conditioned, and the smell is simply to die for, also the little handy mini tin makes this easy to just throw in your handbag to use throughout the day! 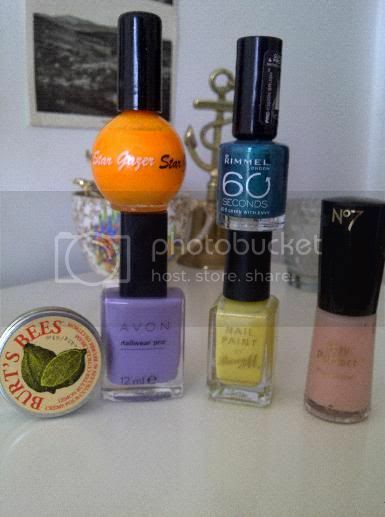 Hope that was useful for you all, whats your favourite summer nail shades?